This coral Moroccan apple tumbler and note pad set can be customized with whatever you want at the top and again at the bottom of the notepad. We can change the font style and color. Each pad and tumbler comes wrapped in cellophane and tied with a coordinating bow. Perfect for gift giving. Upon approval we can print and ship immediately. Convo me if you need some customization done. 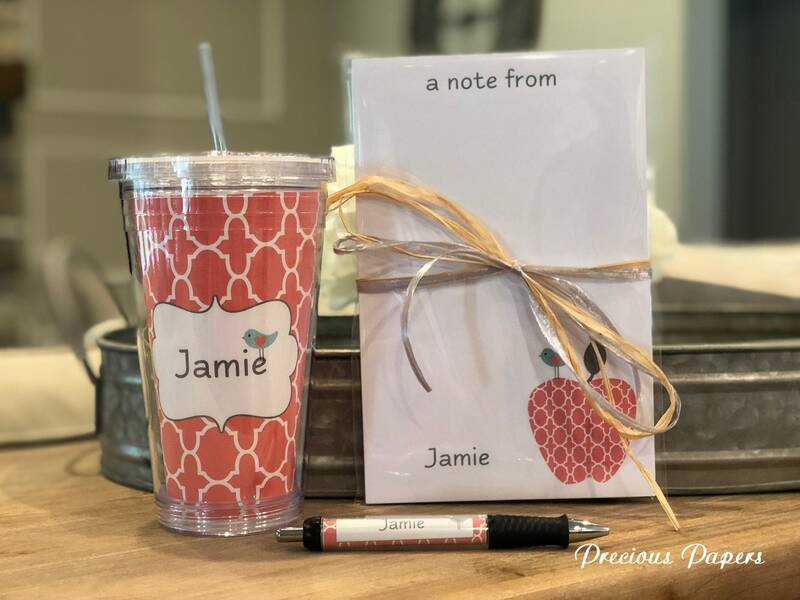 Order your note pad and pen set today! My sons teacher loves this set! Perfect Christmas gift for a teacher!